Okay, time to get my shoulder back to the wheel, I think. I’m making another try at returning to the Cantos. It’s been a busy time, but not so busy I can’t do this a few days a week in the morning, as a warm-up to my own writing. At least, I hope I can do it. In this installment, I try to figure out what I’m supposed to think about Canto LXIV, the third of the ten Adams Cantos… and what I do think about it. For American colonials in the time of John Adams, the Stamp Tax—a tax England tried to levy on America, taxing all printed goods, including “[s]hip’s papers, legal documents, licenses, newspapers, other publications, and even playing cards”—was troubling mostly because of the dark future of willy-nilly taxation it boded. The problem wasn’t that printed things were being taxed (as the tax was relatively small) so much as because England attempted to impose it without the agreement of the colonial legislatures. Teapot, “No Stamp Act,” 1766-1770. Click for source. Of course, knowing Ezra Pound as we do, it’s hardly surprising that the Stamp Tax would offend the poet on a deeper level: if the Cantos have argued one thing consistently, it’s that reading and books are crucial to the life of the mind, to liberty, to prosperity, and to the success of all human endeavour. So it’s hardly surprisingly how much attention he gives it, in the beginning of this Canto. Not that the Stamp Tax resistance wasn’t important to the story of the revolution; just that it’s not at all surprising Pound would amplify that importance in his version of the American Revolution, which it’s becoming increasingly clear is what his poems about John Adams are really about: which revolution? Which America? Which history does Pound want to claim as the gossamer thread that runs through all history, and runs through the present, and sings through the future of the world? The singing is polyphonic, of course: we have Adams’ diary—with a great deal of attention to foods eaten along the way: if the American Revolution of The Cantos is an adventure, so far it’s an oddly Tolkienesque one, with bookish and lawyerly hobbits as its primary heroes. Indeed, I have to say I found it surprising that the birth of John Quincy Adams warrants a single line in this Canto, while the various foods his father ate over a series of years warrants six or seven lines. Of course, not having read Adams’ diaries, perhaps this focus is Adams’, too: it’s easy to imagine him noting down in his diary what he ate for dinner on a given night, or an occasion when he was served green tea, or his policy for the trimming of trees on his land, but not writing the day his son first walked. Maybe Pound’s just being faithful to Adams’ diaries and the other sources… and it wouldn’t be too out of line given the “Great Men of History” way in which a lot of books about Adams would’ve been written, both before Pound’s time, and contemporaneously to his writing of the Cantos. Still, it’s hard not to see a glimmer of Pound’s own attention here: he surely still saw himself as a Founding Father of a revolutionary poetics, and that work was what he believed he’d be remembered for, to the point where his own (often-absentee) fatherhood probably just mattered less to him. to impose internal taxes upon us. A popular image of Terence, the Roman writer. "Homo sum, humani nihil a me alienum puto,"
it wd/ make good cider! Good God! that ever Adam and Eve should eat that apple, when they knew in their own souls it would make good cider! Remember, apples in the colonies at this time were pretty much useful only for making cider: you wouldn’t eat the nasty, sour little things that grew in most orchards, that’s for sure. Then there’s the odd story of how Adams and a few of his friends walked a quarter of a mile to visit an old woman named Poke, who was said to be a century and a decade old, or more, and how, when they looked into the window and saw her, she was “an object of horror.” This Pound renders with a quotation from Petronius’ Satyricon. Hutchinson sucking up to George IIIrd. Or at least, I assume Pound is colloquializing Adam’s judgement of Hutchison’s behaviour, just as I’m assuming Adams didn’t actually quote Petronius in his account of visiting the old woman’s home. I don’t really have access to the books Pound did, so I can’t follow up too closely on this, but I have to admit that even if I could, I’m not sure I would. I am interested in understanding why Pound found Adams so compelling, but I have to admit I don’t myself share that interest, not enough to read piles of books about Adams. “Political cartoon from 1774 by Paul Revere, depicting Death attacking Governor Thomas Hutchinson.” Image and caption courtesy of Wikipedia. This, I think, is one of the flaws singular to the Adams Cantos: while the China Cantos are also a departure from the tight, energetic, and often beautiful writing in the earlier Cantos, it does at least plow through a long history of epic proportions, featuring a cast of hundreds if not (on the page) thousands. 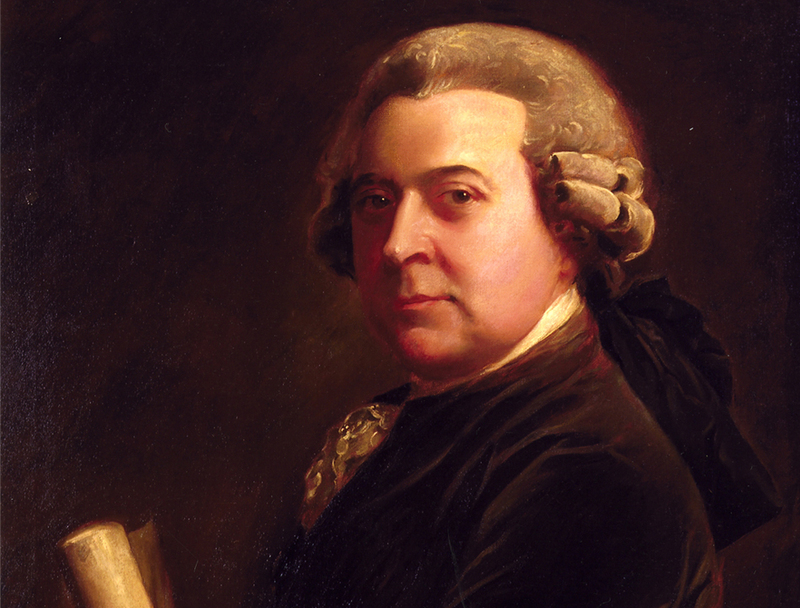 The Adams Cantos, while they show a lot of Adams’ contemporaries, are curiously focused on John Adams specifically: his experiences, his judgments, his opinions and acquaintances. If, in the China Cantos, you’re not particularly interested in a specific Dynasty, you can persist and reach a new one in a few pages. If you’re not interested in John Adams, though… well, then you have to persist through a lot more before you reach something that does interest you more, and Pound is, I think even those who like the Adams Cantos would agree, putting a lot less effort into shaping beautiful verse here than he was in the first forty or so Cantos. That said, one thing that tantalizes me is the question of to what degree Pound sees or treats Adams as a kind of surrogate of himself. He, after all, understood himself as part of a revolutionary movement in 20th century poetry. He read prodigiously (although more patchily than he lets on), and socializing with other members of the movement was something very important to him: the dinners, the walking trips, the green tea here and the half-forgotten argument there: I feel like Pound is trying to argue the quotidian material of life is as crucial to the revolution—be it artistic, or being it political—as the overtly revolutionary actions, the pamphlets and court cases and public arguments for or against a policy. So you’d like more of his personal angle! This is exactly what he does in the Pisan. I loved your reading of this one. And how uncannily you plotted the Pisan in your imagination as a logical sequel to the Adams. Anyway, I guess I’ll see for myself soon enough! And (from what I saw in the Table of Contents of my edition of the Cantos) I’d better get used to long Cantos, because the Pisan aren’t short! Finally, thanks for the encouragement. It’s nice to get a comment here, so soon after posting the latest Canto post!